To find true and lasting love the author has effectively formulated a theme with Mars and Venus on a Date. For single men and women, the five stages of dating are attraction, uncertainty, commitment, intimacy and engagement. With a deeper understanding of each others behavior it is easy to interpret and act accordingly. When one is not able to identify that the person is not right for them, both partners force themselves to alter situations and try to change the partner or themselves. This leads to frustration and negative feeling as no matter what you do the relationship simply falls apart. It is just not possible to fit a square peg in a round hole. Once you understand this, take the right steps and break the relationship on a note without regrets and resentment so you can look for the right person with an open heart. When you are with the right person, you just know it. Forcing yourself to change for the sake of the relationship is the biggest mistake one can make. This simply lengthens the pain in a relationship which is ultimately going to end on a bitter note. It is not at all necessary that you love someone for you to be in a relationship with that person. The more you get to know the person the more you realize that the person is worthy of your love and affection but might still not be the right person to share your life with. Besides communication, physical, emotional, mental and spiritual chemistry have to match for a successful and fulfilling relationship which is elaborately explained here. 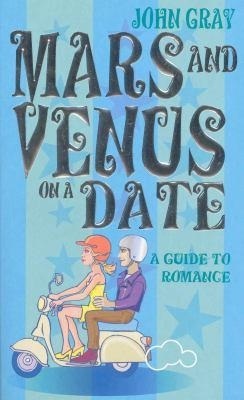 This book greatly assists the readers in identifying the right person who could be the soul mate for you. Going diligently thorough the five stages will help you be prepared and if required to end the relationship on a pleasant note. What We Can Learn, Every man and woman in a relationship wants a loving and fulfilling relationship. Once we understand how each one thinks and analyzes statements and situations, it becomes easy to comprehend and improve the relationship. Communication is the key to a successful relationship. During the various stages of dating, continue to do the little things to make your partner feel special and experience the best in both. Make your dating experience positive and it becomes easier to find the special one.It is not at all necessary that when you love someone you must share your life with that person. You may love one but that person may still not be the right person for you. Confused people in love do not understand this and may become critical of a relationship. If you don’t find the person to be right for you, do not end that relationship on a bitter note. Feeling resentful or guilty when you end a relationship makes it much tougher to move forward and find the right person who maybe just around the corner. Trust your partner. When you try to make your relationship work the first rule to follow is to stop doubting and questioning your partner. This leads to a greater misunderstanding, irritability and sows the seeds of hatred. Communication, physical, emotional, mental and spiritual tuning are a must for a successful relationship. Physical attraction is short lived which can be sustained only when chemistry of the mind, heart and soul match with the partner. Know and understand your partner for a long term, successful and understanding relationship. Remember loving someone does not mean marrying that person. Have a fulfilling relationship and make life simpler by understanding and identifying the subtle differences to make life happy and complete. Men and women are a mystery to each other simply because the brains are programmed to think differently. On reading this book and trying to understand your partner, each one can analyze the situation and simplify the response rather than over-reacting and denting the relationship. Understand the five stages of dating and you are sure to find your soul mate. After reading this book, it is easier for men and women to understand that if the person is not right for them then it is time to move on rather than having regret or to be hurt and upset. A beautiful secret has been revealed in this book that tells the readers: “good endings make good beginnings”. When a relationship ends either partner may have a feeling of regret or being used or feel angry as expectations were not met. The human nature forces us to close the heart and the mind is not ready to think freely due to the fear of being hurt again. End the relationship without resentment and move forward to find your true soul mate. The techniques described here help the readers to realize and recognize if they are forcing themselves with the wrong person. Both try to change each other or self and end up being frustrated and going nowhere. This gives rise to negative feelings and makes the relationship worst. Following the identification tips can greatly help people who are entering into a relationship or are already in one and can see it go sour have the options of doing something about it. Learn to identify and find your soul mate that may not be perfect but is perfect to bring out the best out of you. Follow the tips and find that the right person to make life loaded with happiness and worth living. Matching the spiritual, emotional, mental and physical desires leads to a happy and contented relationship. Don’t rush into a relationship no matter what your age. Open your heart, understand and then take the next step rather than a blind plunge. 3 out of 5 is the rating I give to this book. It generalizes the temperaments of people which really cannot be stereo-typed. Some different cases could have been given as examples with the psychological analysis. Although, what has been written deserves full marks for the majority of the readers to understand and implement into their own lives.